더니든, 뉴질랜드의 온 탑 백팩커스 | 호스텔월드에서 예약하세요. 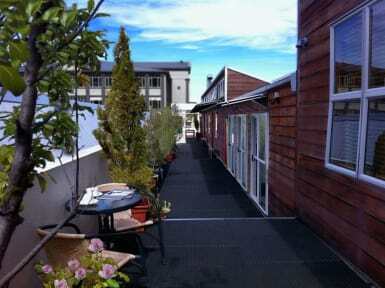 On Top Backpackers is situated in the heart of Dunedin City, just a minutes’ walk from The Octagon. 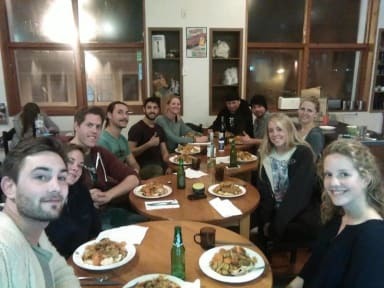 With its very own Cafe& Bar with 19 pool tables, it is a fun, comfortable, unique, bright and sunny Hostel with a relaxed vibe. Guests can choose a variation of rooms, from female only and 6 and 8 bed mixed dorms, comfortable single and double rooms with shared facilities, or our deluxe double private rooms with en suite. All rooms are heated and linen is provided. Rooms are very secure with individual key card accessibility. On Top provides a fully equipped kitchen and FREE barbecue facilities for all guests' use, which is a lovely way to enjoy a clear Dunedin day out on our sun deck looking over the city. FREE WiFi and a FREE breakfast is included daily. There are laundry facilities onsite and FREE bag storage on request. Parking options are available. The friendly staff at our reception can assist with any bookings or inquiries regarding shuttle services, tours or site-seeing, and will also help you with any other questions or queries you may have during your stay.